Picture the scene: you decide one day to reach out to your favourite comedian on social media, just to let them know how much you like their work. You probably wouldn’t expect a reply back. After all, they’ll surely be too busy with their own schedules and won’t have time to reply to every single fan. But what if they did reply, and what if it turns out they admire your work just as much as you do theirs? That’s exactly what happened to army recruit Leon recently, who became unlikely friends with comedian Axel Blake through the power of Instagram. 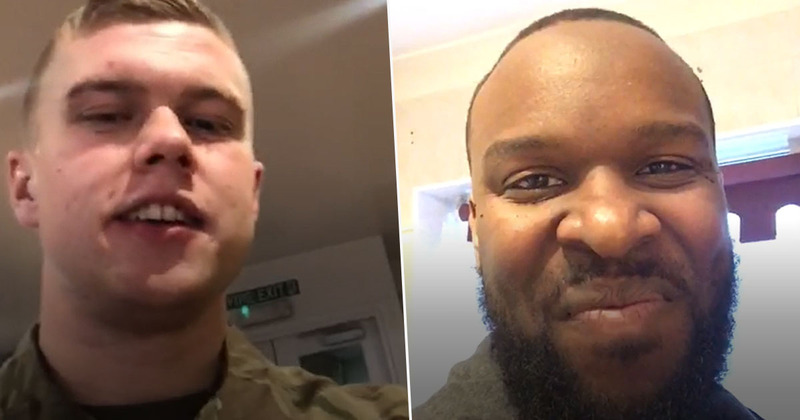 Forget pen pals, Insta Pals are apparently where it’s at right now – as Leon (an army recruit who is currently completing his first phase of training at Caterrick) and Axel (a comedian from London) found out recently. After first getting in touch with each other on the social networking site, the pair have managed to keep in touch via video chats and hilarious challenges. And the unlikely friendship is only getting stronger. What started out as introductory chats turned into an actual friendship, with the two men sharing pranks they’ve carried out on other people and even challenging each other to strenuous activities. Which, sorry Axel, but I think Leon wins hands down. 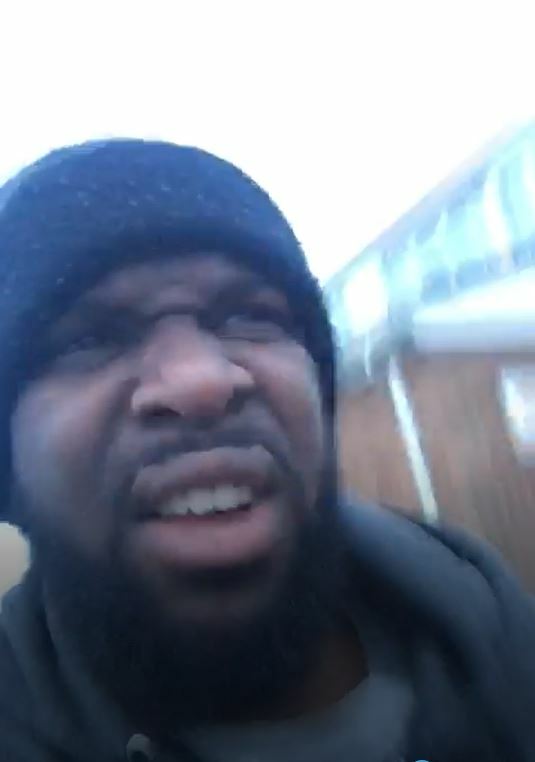 Leon gets the bantz started, sharing a video of a prank which he calls ‘talcum powder mayhem’ before telling the comedian he’s lucky it isn’t him who’s the subject of the prank. And he is: the video shows Leon’s poor, unsuspecting mate sitting with his pants down on the toilet while at least three boys sneak up on him and pour talcum powder on him. I mean, how’s he even going to get that out?! After Axel shares a similar video of him pranking someone in a bathroom stall, the friendship is solidified and the two go back-and-forth with various other challenges – including completing a mile and a half run in 10 minutes, which Axel doesn’t quite manage to complete. As Leon shares stories of his time in the army, Axel provides his support and continues to send videos of himself attempting the various challenges set by the army recruit. And when Leon tells the comedian he’s completing a four-mile run followed by a two-mile obstacle course, the temptation is too much to resist for Axel, who jumps on a train to accept the challenge hands on. Yep, you guessed it, Axel did… not win against Leon, the army recruit who completes these courses regularly as part of his training. But the pair looked like they had fun while doing it, and that’s what counts – right? Especially when the duo have become such good friends throughout it all. So next time you put off sending a message to someone you admire, think twice about it. You never know what could happen!